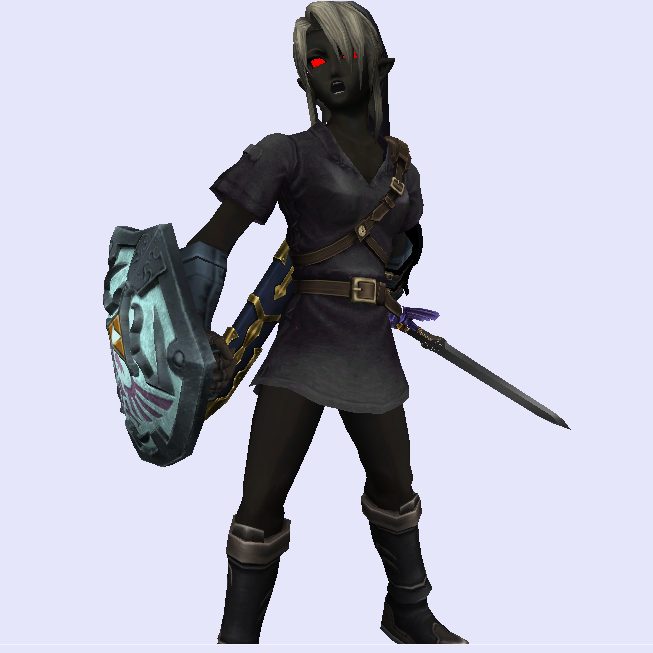 Includes CSPs, sfx, and Melee textures for Project M.
So I was approached awhile ago to make a dark recolor of my Lena/Female Link V2 hack. So I decided to temporarily come out of retirement and see what I could do. I admit I'm a bit rusty here and there, but it's just a recolor, no big deal. P.S. Sorry for the brawlbox pictures, but my brother purchased Minecraft for the XBox a few days ago, and I haven't really bothered to take the pictures in Brawl yet. 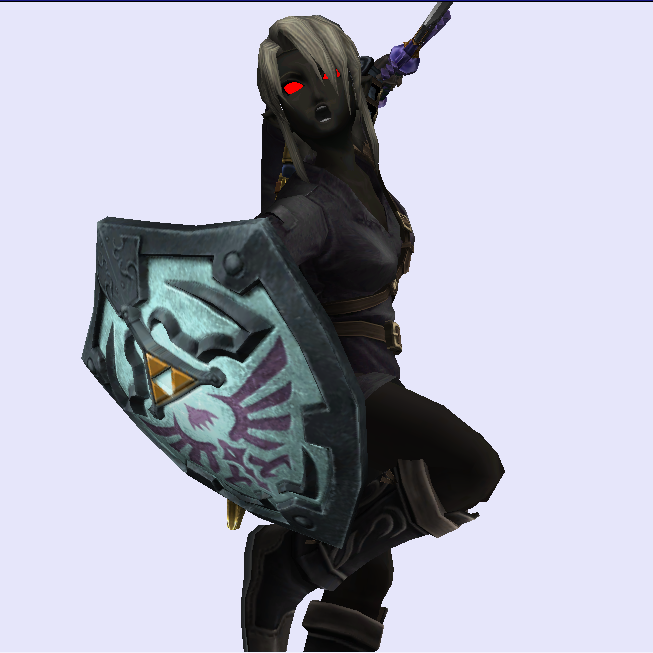 Well this is what I would consider an old fashioned PSA that I came up with for the Young Zelda Model by Black Boo. She has all of the same moves but many of them work differently to the same effect. Her standard attack has an extra flame sweetspot at the end if you're close enough to her. Side Tilt now hits multiple times. 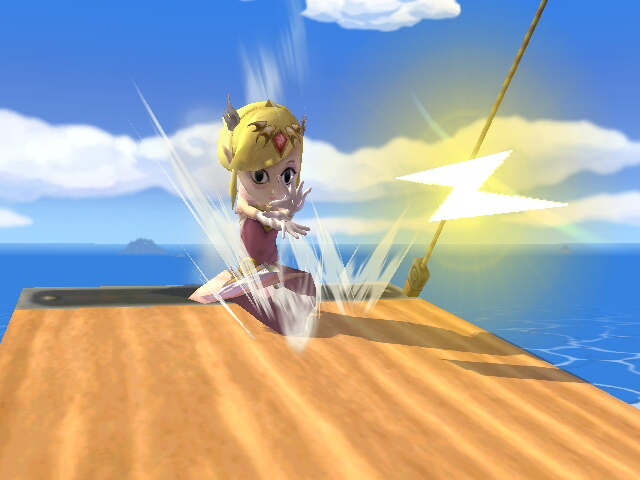 Side Smash is a single lasting hitbox. 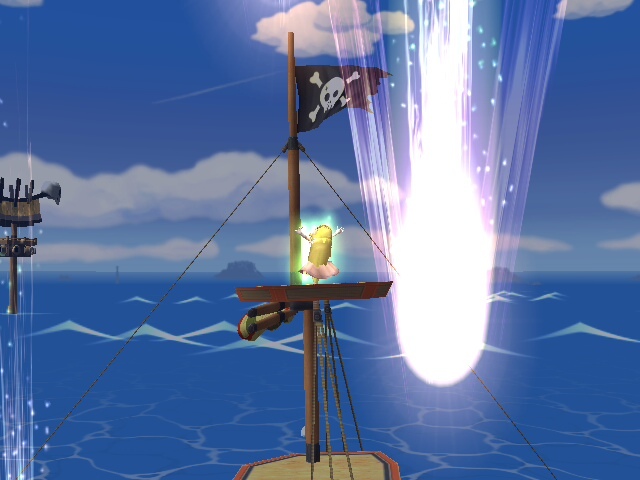 Up air is a multihitting explosion. 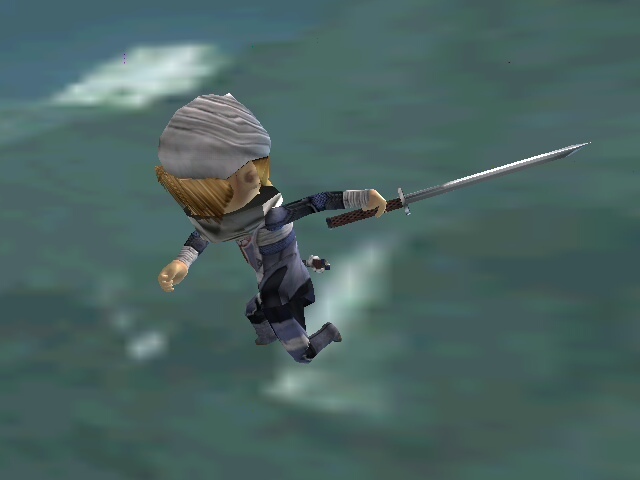 Side and Down aerials have weaker sweetspots but the normal hitboxes are stronger. 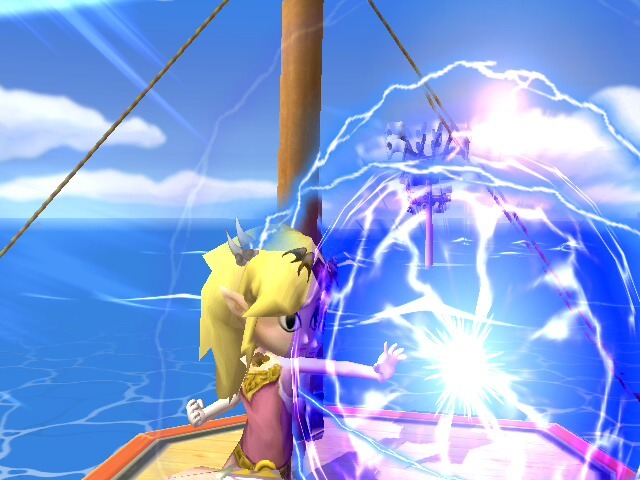 In general, her attacks are a bit weaker, she's a little faster, recovery is better but her weight is decreased a bit. DO NOT EDIT OR RECOLOR WITHOUT MY PERMISSION. RECOLORS ARE FINISHED, AND WILL SOON BE RELEASED. First of all, a HUGE thanks to Pik who did a lot of the texture re-mapping to make this look as glorious as it does right now. 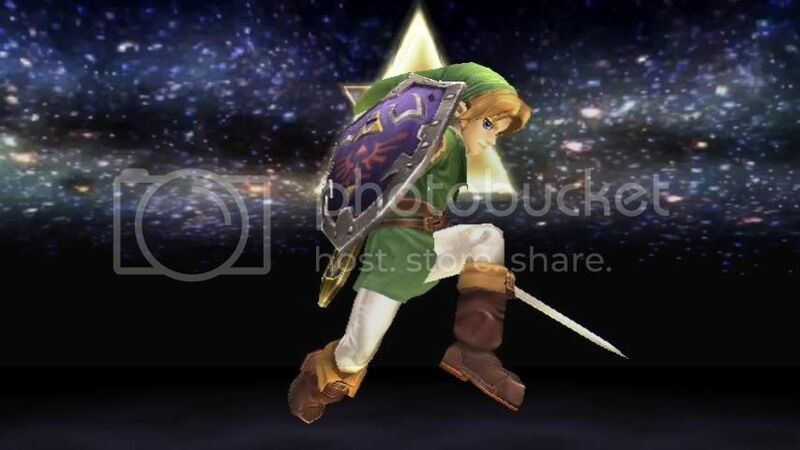 Version 2 of my Ocarina of Time Link. This download contains Pacs and PCSs of three versions. ...y'know why do I bother putting in .pacs and .pcss? It seems like a waste fo file sze. Wow. I did this monstrously fast. Only one day from drawing board to BrawlVault. I've impressed myself. I've actually had the little buttmunch on my to-do list for awhile, and I finally just got the nads to do it now. So enjoy. Thanks to _Data_Drain_ for the FitMotion.Pac to make him smaller. That's the reason he desyncs. 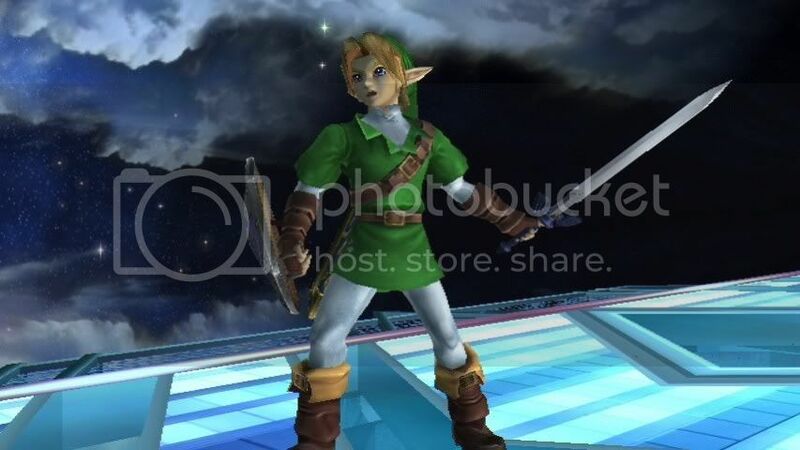 My Twilight Princess deisgn for Saria embodied in a Brawl hack. Mind you the design would have been way more "exciting" if it wasn't made with the limitations of the hack in mind, but I digress. Enjoy, includes FitMotion.pac to make her Kokiri sized. EDIT: Third image fixed. My bad I had it in the wrong field. And last, but not least you get the heavily edited Motion file! With this update I have altered quite a many things animation wise and have added an attack through Psa. She now comes with all new taunts and a new entry! 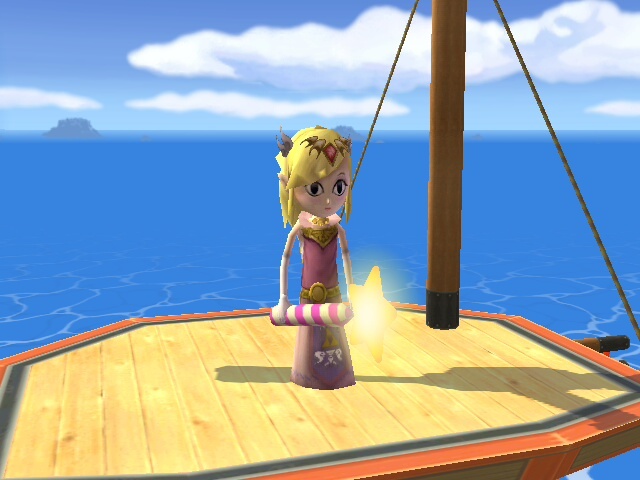 Fixed glitches: She now holds items correctly. Her hair is now animated properly. 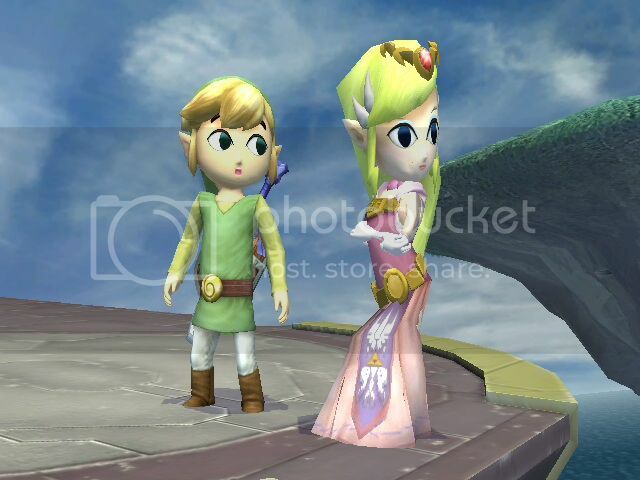 Final Smash eyes do not work as her eyes are literally painted on the model. She holds the Cracker Launcher and Super Scope oddly as well. 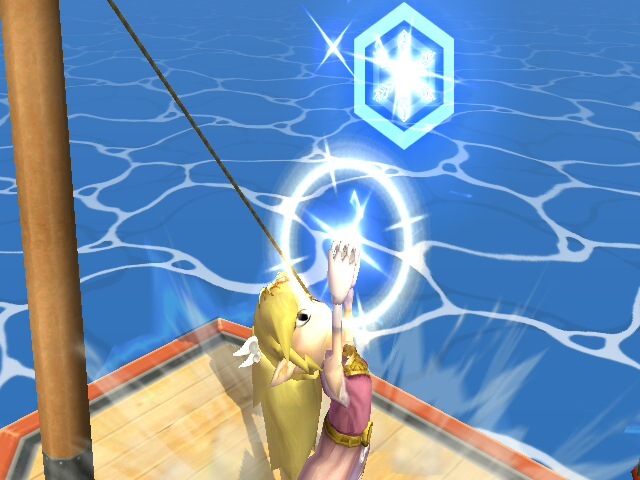 Other than this she is completely glitch free and doesn't freeze your game! If anyone encounters any problems that I haven't listed already then let me know via pm. 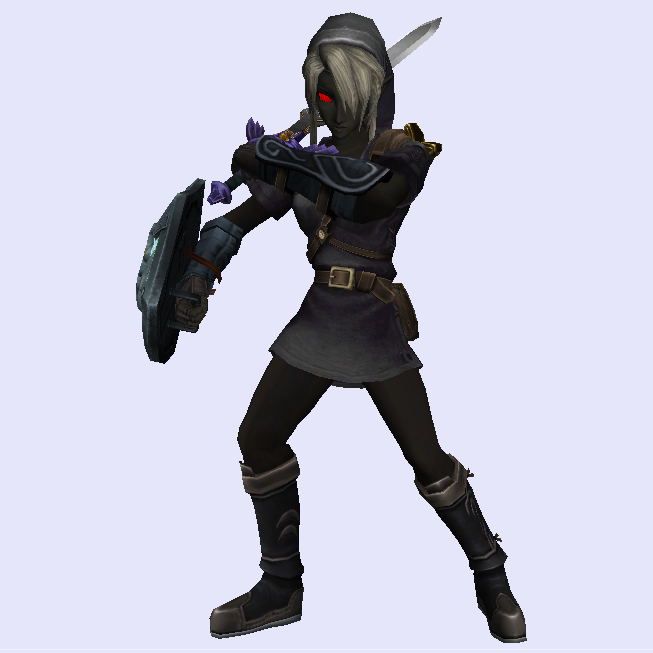 My version of Fierce Deity Link based on my Ocarina of Time Link model. And yes, there are actually a LOT of changes to the model before anyone assumes otherwise. 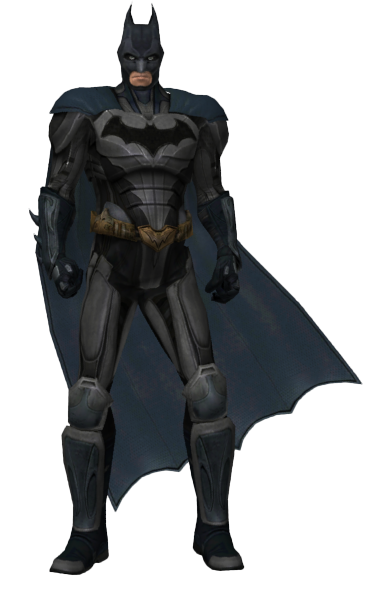 Credit to Unai for the base armor texture. Version 2 of my ever popular Female Link hack. This one is much better than the last one, as I've completely altered the face instead of making minor changes like last time. I've also given the body some improvements as well, so she's not a twig like last time. I've also altered the hair, so yeah, that's new too. I'm still having trouble with the long haired version, but it's mostly the texture now. Enjoy. 07/09: Updated CSS pack by Irukari! 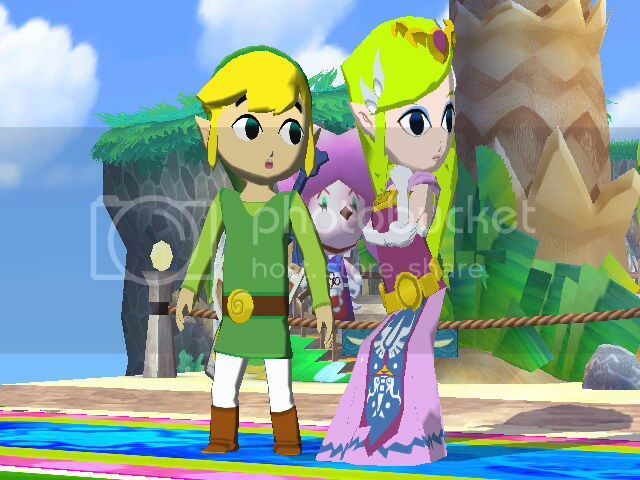 Full credit goes to StarWaffle and Majora for their epic hack of Toon Zelda over Toon Link! 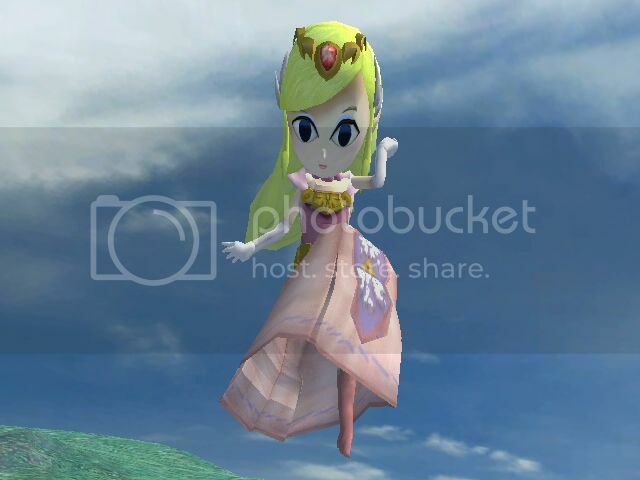 With this model I have done some slight animation porting to have Toon Zelda do certain things correctly, however there are still some problems if anyone would like to fix them! Bones need to be placed properly so holding items, FS eyes, etc. aren't messed up. I have received permission from StarWaffle to upload this. Final Smash eyes don't work. 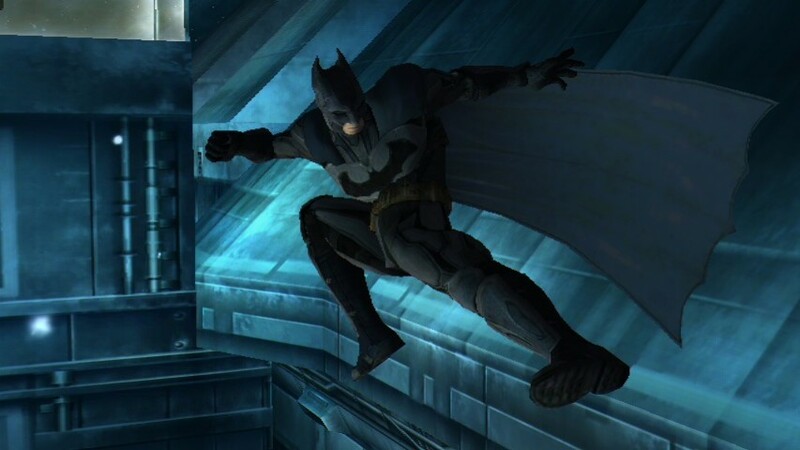 Some attack animations are off. Other than that I haven't had a single freeze from this at all! Pardon the shmaltzy CSP picture to show the recolors but I'm kind of lazy today :P The colors still match up though. Thanks to SJS for the original CSP that I recolored and included in this. Includes all of the colors seen in the picture except for green. May attempt item edits later. 7/23: Fixed a ridiculous flaw in the texture. Somewhere along the line I deleted the texture for her foot soles. That's fixed now so she doesn't have holes in the bottoms of her feet! Updated again. If you don't mind Minda having a hole in her left leg, then you don't have to re dowload. 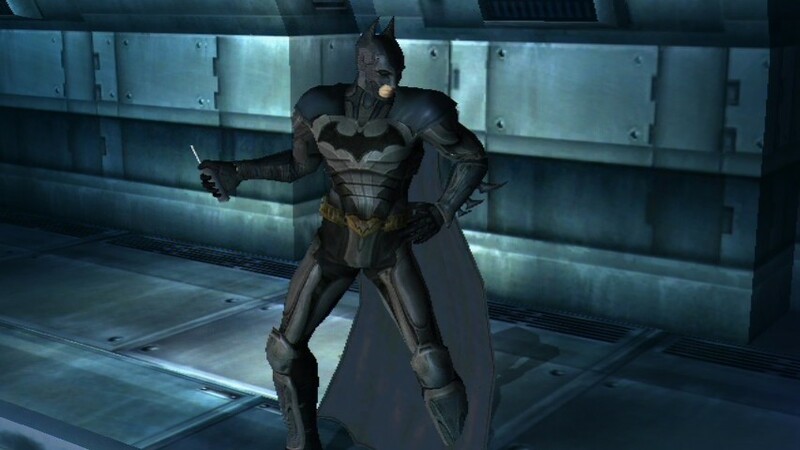 Thanks to Sorceress for pointing that little glitch out. Updated: Fixed the face and added the crown thing on the top of her head, as well as other small head fixes. My version of the Twilight Princess, Midna. This was a project some six or so months in the making, if not longer than that. I've remade the model four times now, so I really hope this is satisfactory. Even includes assymetrical skirt. Not sure if the renamed skirt bones affect Wifi, but they don't affect the graphics. Credit to Calamitas for the basic textures. That was a huge time saver, thanks man. 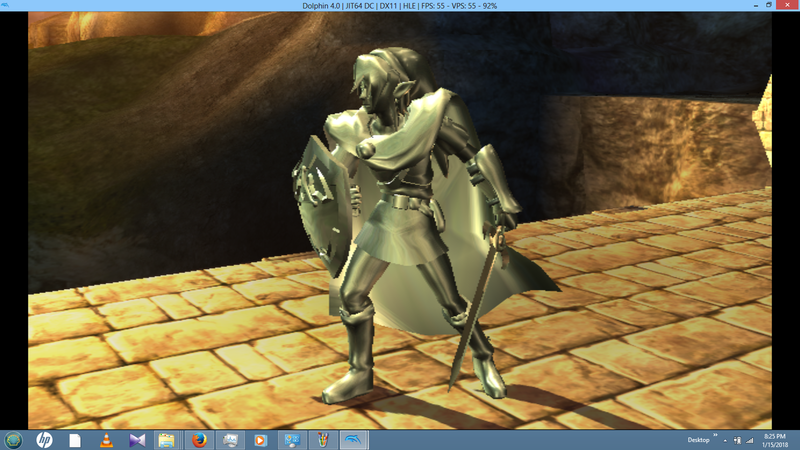 Also a shout out to Pik who hooked me up with the original texture and model files from Twilight Princess. 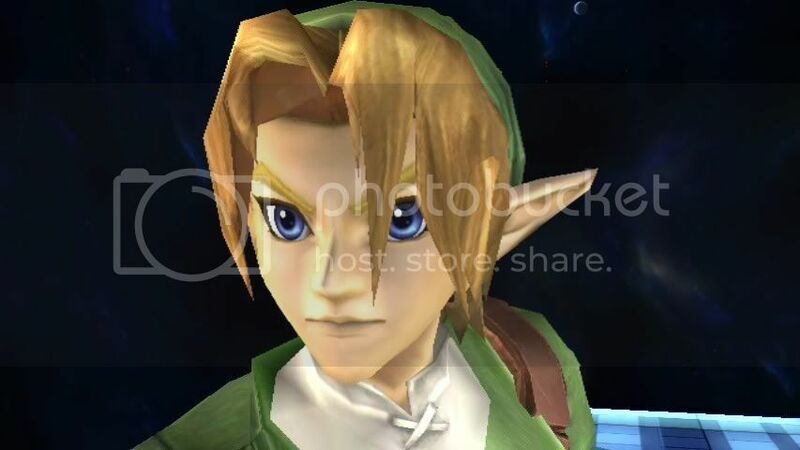 NOTE 2: Pictures processed through Paint.NET to have a more Twilight Princess feel. NOTE: DO NOT RECOLOR OR EDIT WITHOUT MY PERMISSION. 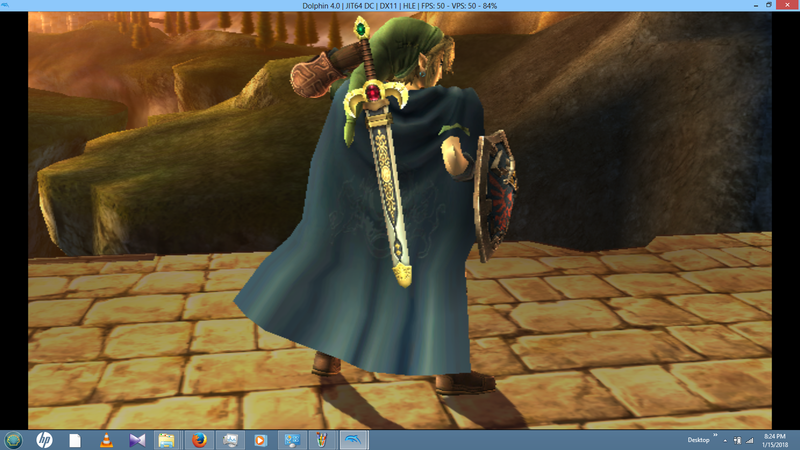 Credit to KAZE for the tunic, hat, and sheild textures. Does not work on WiFi due to renamed hair bones. The Ultimate (and WiFi safe) Toon Zelda Hack Pack! 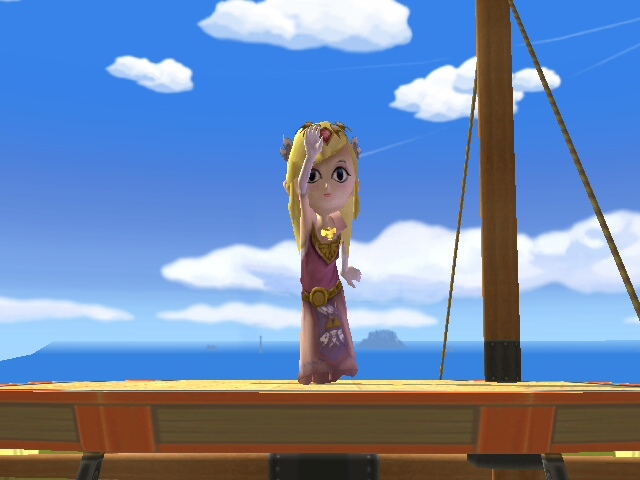 This is the result of a full collaboration between me and Starwaffle working on Toon Zelda. The download has a total of twelve hacks, all with pac and pcs files. What was meant to be a halloween hack, I'm releasing now. I meant to release it as an april fools joke for the blog, but when Lensho posted majora's Mask, I decided to just post it today normally. Enjoy. 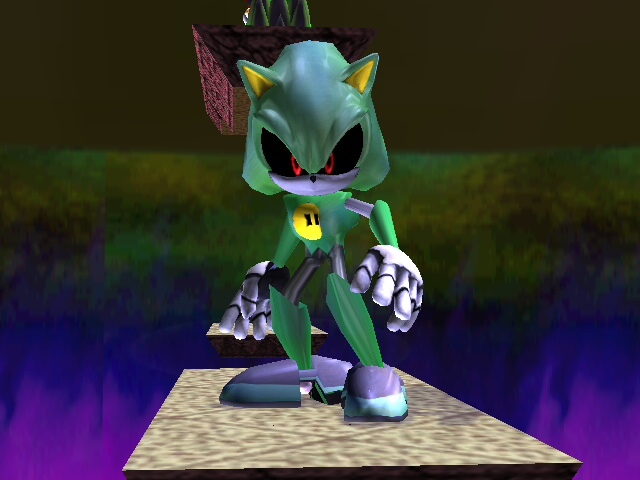 A Metal Sonic Color Pack, with Black Boo's Metal Sonic vertex as a base. I used some costume ideas from Metal Sonic's various appearances from comics to games. Okay in all technicaliity this is actually like version six of her designs, but version 2 of her hacked form. Gotta say my favorite part of this hack is her hairband. 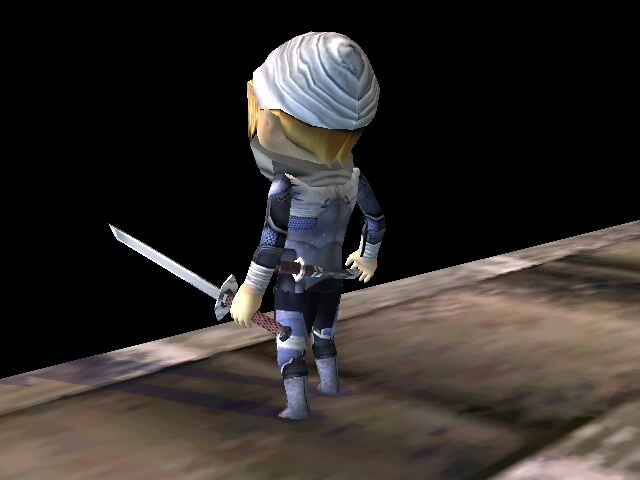 Toon Sheik says NO WIFI FOR YOU. He likes his renamed bones. 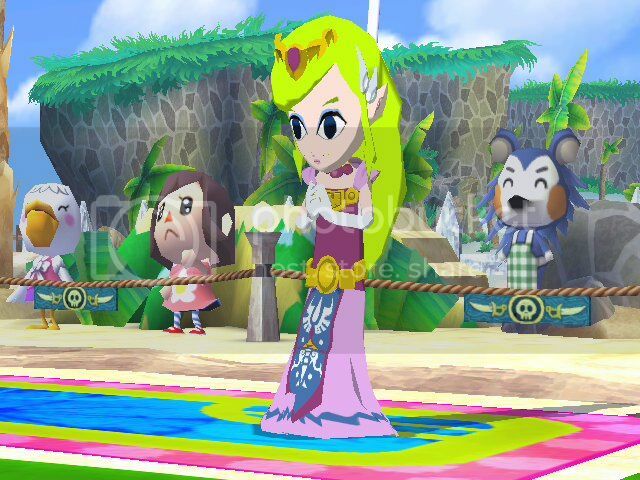 Ulala, reporting to you live from the battlefields in SSBB for Space Channel 5! Page created in 0.272 seconds with 137 queries.